1 year post op, spinal fusion surgery! It feels very surreal to be writing this post, I cannot believe that I am 1 year post op. It's been a tough year for me, physically and emotionally, I look back at the early stages of my recovery and sometimes I can't believe I actually went through all that I did, or even had the strength to. In a way I am proud of myself for my determination to keep going, even when it felt like things weren't going to get better. The surgery made me stronger than I could've ever imagined. I remember laying in my bed on my third day and seeing other patients walking up and down the ward, it actually made me jealous because I wanted so bad for that to be me. Scoliosis really makes you look at things differently and I feel very privileged to be able to walk every day because some people don't have that luxury, and because of my operation and being on that ward it's made me more aware of how people suffer every day and how lucky we all are to be able to do what seems like a simple task. My surgery and correction went so well and I'm extremely grateful towards my surgeon and all the lovely nurses who looked after me, but i couldn't of done any of it if it wasn't for my amazing family and friends. Although the surgery was the hardest thing I've ever had to do, I am so glad I did it! My back isn't perfect and it never will be , but in comparison to what it used to be like, I'd say it's a pretty close correction. There is times when you are recovering from surgery, where you think that it will never get better, but I promise you if you keep going and pushing on 99.9% of the time it will get better. The first few days of recovery are the worst, I'm not going to lie to you. You will feel regret and you'll wonder why you ever agreed to have the surgery, But like I said it does get better and it will be worth it in the long run! It's honestly so overwhelming when I think about where I was this time last year, I've improved massively. 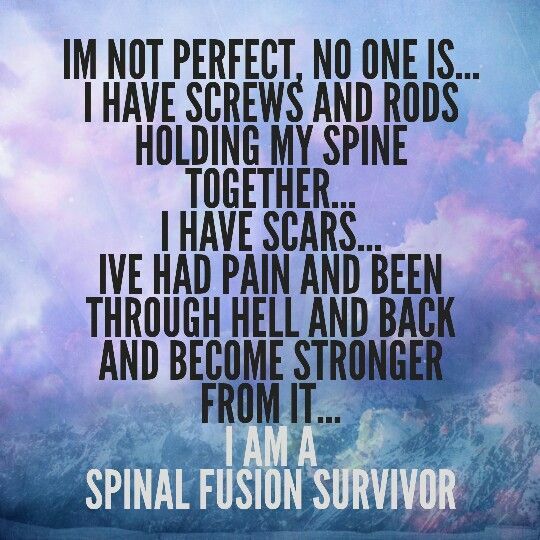 Scoliosis is part of me and as awful as it is, I wouldn't change it for the world. Please feel free to ask me any questions in the comments below and I will reply as soon as possible.